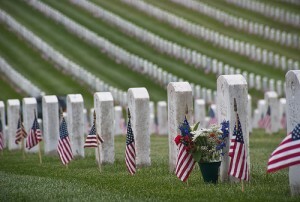 Memorial Day 2011: A Time to Remember When American Exceptionalism was Our Dream | Virginia Right! The memory of those who fought and died for our country should always be held with the highest of honor. Memorial Day gives Americans and the world the opportunity to reflect on the freedom they enjoy bought and paid for with American blood. Not just on American soil, but on nearly every continent on the planet. The Call to Duty has been answered by brave American men and women in every capacity imaginable. 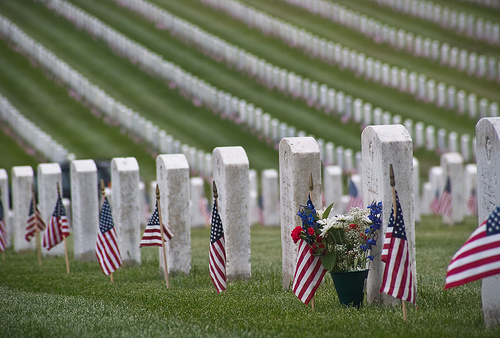 As long dead American soldiers, sailors and marines lay in their graves in eternal rest, many Americans manage to ignore the reason for the holiday and simply see it as the beginning of summer. Beer, Cook-outs, beaches and fun. But these are the rewards we reap only by the sacrifice of the brave heroes who gave their lives so we may live ours. But this should also be a day to remember what these souls fought for: Freedom! We see in America today an administration that believes the hard work and sacrifice earned by the few should be forcefully taken and given to many who are unwilling to work for the same rewards. This is not the vision of America our war dead gave their lives to defend. They were defending the opportunity to work and succeed, not success at the expense and toil of others. Equal opportunity, not equal outcomes. Many of these men and women died defending America from Communism, Socialism and Fascism, the very philosophies President Obama and the “Progressive” Democrats now embrace. They fought for the concept of freedom from tyrants and heavy handed governments forcing citizens to bend to their will because they know better than those they would rule. Our fallen were quite clear on the difference between a leader and a ruler. America stands on the cusp of dishonoring the memory of our fallen who fought so valiantly to the last breath to keep these repressive concepts away from America and on the cusp of seeing their sacrifices go for naught. This Memorial Day we must not simply remember those who fought and died, but we must remember what it was they fought and died for! And to pray that we never let their sacrifice be in vain.